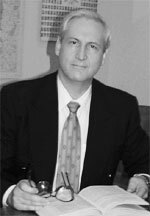 Kent Anderson has practiced law in Eugene, Oregon, since 1978 and focuses his practice on consumer bankruptcy and tax collection problems. Kent is one of the few attorneys in Oregon to be certified as a consumer bankruptcy specialist by the American Board of Certification. He is a frequent speaker at continuing education programs in bankruptcy and tax issues. Kent is a member of the National Association of Consumer Bankruptcy Attorneys, the National Association of Consumer Advocates, the American Bankruptcy Institute and the American Bar Association. He is an author on the Lexis Bankruptcy Law Center and Bankruptcy Law Network. Kent has attended the Peter Barry Fair Debt Collection Practices Bootcamp and the Max Gardner Bankruptcy Litigation Bootcamp.